A.D. LINES – EUROGROUP is a world of art. We bring you the world of art…with the traveling on us! We have the largest collection of contemporary art available anywhere. Our collection includes art from Germany, Spain, Italy, France, Holland, Portugal and the USA. Our interests are varied and wide ranging from inspirational and biblical pieces that will touch your heart, grand museum classics, a vast garden of flowers and landscapes, and the most exciting musical collection of jazz and blues images to enhance your eyes and ears. See the beauty, see the movement, see the world.. Celebrating 25+ years in business, we remain committed to updating and expanding our collection. We offer framed and unframed prints that are 100% “Made in the U.S.A.” We continue to add to our growing collection of licensed college stadium panoramas and are an official licensee of the NFL, NHL and NASCAR. 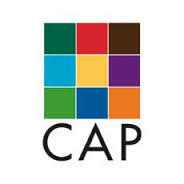 Canadian Art Prints (CAP) was established in 1964 and is a publisher of open edition posters, limited edition prints, and art cards. Our collection showcases an eclectic mix of incomparable imagery by close to 200 international artists. From home to office, traditional to cutting edge, our unique collection offers something for every taste and application. Winn Devon is a publisher of open edition posters, limited edition prints, and original works of art. Our collection showcases an eclectic mix of incomparable imagery by close to 200 international artists. From home to office, traditional to cutting edge, our unique collection offers something for every taste and application. 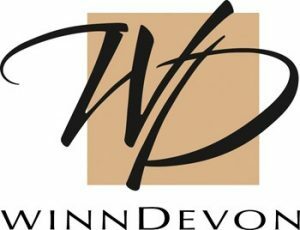 CAP and Winn Devon combined, is one of the largest art-publishing houses in the world. We are committed to offering exceptional imagery of outstanding quality and design. We have a dedicated international sales force and as a result, our images are sold through galleries, framers, museums, gift boutiques and art retailers throughout the world. Posters and postcards on European architecture. We present our collection of art prints on French architecture, from Gothic cathedrals and Loire castles to Le Corbusier, and also some of our Italian images. Galaxy of Graphics, Ltd. was created as a sister company to the Arthur A. Kaplan Company. The Arthur A. Kaplan Company, in existence since 1956, continues to be a pillar in the picture publishing industry as one of its most recognized names and respected entities. In 1983, the directors at the Arthur A. Kaplan Company recognized their customers’ need for more sophisticated, upscale artwork, and developed Galaxy of Graphics, Ltd. as an alternative to meet this demand. With this backdrop, Galaxy has successfully evolved into one of the leaders of the fine art world by continually publishing timeless, classic “over the sofa” images. Galaxy images are denoted with a GOG code in the catalog. Galaxy of Graphics, Ltd., like its sister company the Arthur A. Kaplan Company, is a family-run business. Galaxy attributes its success and constant growth to being a byproduct of placing such a high value on its relationships with its customers, its employees and its artists. Galaxy is proud to have developed a strong base network of customers and artists worldwide. Galaxy and Shooting Star images are sold only to the trade. GANGO EDITIONS, INC. was founded by the Gango family in 1977. Starting from her first gallery space behind a garage door, Jackie Gango steadily built one of the most successful art galleries in Portland. In the early 1980’s Gango Editions began to produce art prints and quickly grew to serve a worldwide market in wall décor. Jackie Gango retired in the spring of 2005 and her daughter and long-time business partner, Debi Gango, continued to run and grow the successful business. The company continues to listen to customers, consult market trends, and work with artists to bring some of the most successful images to the print. The Grand Image story is one that has evolved over time and is closely linked to my own story. In 1976, as a newcomer to the art business, I made a humble debut representing the work of a few unknown artists. After my first two disastrous editions, I quickly discovered how much I did not know, but was energized by the scope and depth of what there was to learn. In retrospect, my first lesson was one of the toughest. It was also one of the most valuable. I am beginning to enjoy the rewards of a fully realized career fostering creativity and opportunity for emerging artists, while perpetuating the growth and evolution of those who are now established. I am privileged to preside over a company and a collection of originals, and limited edition prints that have earned a place in the art community. All this being said, the fundamental reason for our success has been you, our customer. We operate under the premise that our customer does not want to be pandered to and, given the chance, will not only select but embrace the new, the different, even the challenging imagery. And for all our customers who see the world, image-wise, as we do, we are grateful. Thanks for seeing things our way. Now in our 37th year, Image Conscious is a San Francisco-based publisher and distributor of fine art prints and posters. One of the largest wholesale poster suppliers worldwide, we sell exclusively to galleries, frame shops, designers, art dealers, poster shops, online retailers, OEMs and wholesale framers. We publish quality prints and posters from hundreds of the world’s finest contemporary artists and photographers, the best of whose images can be viewed on our top-selling publications list. Image Conscious is also the US distributor for the print and canvas line from The Art Group, based in London, and the open-edition print line from artist Michael Parkes. We are the main US distributor for open-edition prints by the artists Jack Vettriano, George Meis, Angelina Wrona and urban culture artist Lora Zombie. MainLine Art and Design represents a select group of Artists and facilitates bringing their artwork and designs to the wall decor, home accent and gift industry. We have a complete portfolio of unique designs from traditional to on trend looks. We work with world class American manufacturers and framers that bring to life these amazing pieces of artwork. MainLine art and Design also publishes paper in short runs to accomodate any request large or small. We are excited for you to take a look at our talented group of Artists from around the World and would be pleased to help you customize any image to your liking. PI Creative Art is the newest inception of Posters International, created to reflect the company’s new vision and product lines. Founded in 1976 by Esther Cohen Bartfield, the company has grown to become one of North America’s leading publishers of a wide variety of art products. PI Creative Art is a family run business that includes a helpful team of sales representatives, a comprehensive art department including an art director, graphic designers, visual artists, and a management team that is always available on the front line. The company has emerged as a leading source of fresh artwork for the retail, corporate, healthcare and hospitality markets. The PI Creative Art studio has also grown to keep up with the demand for custom created artwork. Our talented team of graphic designers and talented artists/photographers are adept at translating ideas into custom imagery for any setting with low minimum commitments. Established in 2003, Roaring Brook specializes in publishing and licensing decorative art to the home furnishings and gift industries. We’re a wholesale business with distribution of our art to major national retail chains, regional stores, mail order and catalog companies. Owner/President Gary Levine brings to his business passion for art and more than 18 years experience in the art industry. He has worked in publishing, and in designing and selling framed art and wall decor to national retail chains, including department stores, specialty stores, and off-price discounters. This experience not only enabled him to start Roaring Brook Art, but create a company that has some of the best selling art in the market today. We work with a distinct group of artists who create art in various mediums, including oil, acrylic and watercolor paints, as well as black & white, color, and manipulated-Polaroid photography. Our artists bring many years of creative talent to us, and are truly the lifeline of our business. If you are interested in purchasing prints or licensing art from Roaring Brook Art, or if you are an artist, and would like to submit your work for publishing/licensing consideration, please contact us. We’re eager to talk with you. Rosenstiel’s is one of the world’s leading Publishers of Fine Art Prints and Posters for the Wall Decor Market, supplying to trade customers in over 100 countries around the world. Since its foundation in London (1880) by Felix Rosenstiel, each successive generation of Felix’s family has assumed control of the company with the same commitment to quality, service and customer satisfaction. Over the years, our reliability and dedication to quality has been granted with many prestigious awards, including two Queen’s Award for Export Achievement (1993 & 2007) and other major international export awards such as Overall Corporate Exporter of the Year (2004) from the International Business Awards. In October 2010, the company has proudly celebrated its 130 years in the Art industry! Flexibility, reactivity and efficiency have always been 3 key components to our success. While assuring quality products at a competitive price, we have always been able to deliver our promises. Our dynamic design team has years of collective experience, from interior design to textile design, painting and drawing. Naturally we take pride in attention to details with everything we do and as we understand that each customer is unique. We are responsive to their diverse and most specific requirements. Rosenstiel’s has developed excellent relationships with our many artists worldwide who work in partnership with us both proactively and reactively. Gain customers loyalty by going above and beyond. We realize that service is expected, while loyalty is earned. Treat our customers friendly and fairly, get to know them personally. Offer great art at great prices. Take care of our employees so they will take care of business. We have always believed that business is simply, “people working with people. No matter what part of the globe you are from, everyone deserves to be treated with respect. Our customers are the main priority. Sage has always believed in keeping things simple and basic and frequently remind ourselves that we are selling paper, not saving the world. Michael Singleton, co-owner of Sagebrush Fine Art, has always had two favorite quotes that serve as business models. The first being: “Man is most comical when he takes himself too seriously, and the second one being, “Tomorrow is promised to No One. Remember these two principals and the rest will fall in place. We strive to keep our employees happy, as we realize happy employees are productive employees. Sun Dance Graphics is an internationally known fine art publisher committed to providing unique, trend-conscious art. We showcase beautifully crafted and brilliantly designed art that is sure to inspire and enhance. With Sun Dance Graphics, your #1 art print publisher and poster distributor, your satisfaction is our specialty. Browse through our wonderfully diverse open editions poster collection or tour our fine art print or American art reproductions galleries. At Sun Dance Graphics we have art and wall décor to compliment any environment. As a leading wholesale publisher of fine art and fine art reproductions, we welcome you to explore our selection of high quality, traditional and contemporary art and wall décor created by nationally and internationally acclaimed artists. We take great pride in the selection we provide because our vision always includes you. Sun Dance Graphics is your passport to inspiration. TOP ART is a fine art publisher and specialized printer that is committed to producing a unique and creative collection of some of the highest quality fine art reproductions in the world. We are a Business to Business company operating worldwide with facilities in Italy and the United States. We are dedicated to servicing a wide range of only qualified wholesale customers including galleries, framers, retail stores, interior designers, architects, art consultants and many other art related businesses. However, TOP ART welcomes consumer interest and invites anyone to view our website. At TOP ART, we embrace the challenges presented by the countless new ways that fine art reproductions are appreciated and utilized in the contemporary global marketplace. Lifestyles vary, perspectives differ, tastes change, and fashion is reinvented. We endeavor to celebrate artistic, cultural, and stylistic diversity in the art we select and the way we approach the business of publishing fine art. The understanding of art history, along with our close relationship to contemporary artists, distinguishes TOP ART as a unique publisher who has a respectful appreciation of the past and the vision to help cultivate the originality of the future. We find, create and deliver great art for the world. Every day we are excited to work with our artists in two different but complementary businesses: Art Licensing and Art Publishing. As an art publisher and art licensor, we work with artists to place their incredible art with manufacturers of quality wall decor and decorative products for the home. From stunning framed and canvas art collections to stationery, ceramics, dinnerware, bath sets, rugs, kitchen accessories and more, we are helping make the world a more beautiful place, one product at a time. Creativity, respect and hard work are at the core of our business. We do business by the golden rule: treat artists, customers, suppliers, and each other the way we want to be treated. We have a lot of fun. We’re always learning and we’re very pro-chocolate. World Art Group, Richmond, VA., has been designing and publishing a broad range of decorative art prints for the home décor markets for nearly 30 years. The collection of over 20,000 images spans virtually every category and subject matter, from prints and posters, to open edition and Limited Edition Giclee, to hand embellished prints on paper or canvas. World Art Group has been printing to order and printing on demand since 2002. Virtually any image in the collection can be printed any size, on paper or canvas, up to 60” wide by any length. There are no minimums. In addition to collaborating with hundreds of artists from around the World, World Art group has its own in-house design group, Vision Studio, a team of talented Art Directors, Design Artists, and Graphic Designers with advanced degrees in printmaking, illustration, and textiles. We work in every medium, from digital illustration to oil, watercolor, acrylic, collage and pencil. Our design team is introducing over 250 new and on trend images every month. World Art Group is also a licensor to companies Worldwide, across every industry and product category, including wall décor, housewares, floor and wall coverings, tabletop, giftware, furniture, textiles, paper products and stationery, clothing, and much more. We also design proprietary lines for dozens of designers, wholesale manufacturers, and retailers.